Are Private Eyes Watching You after a Workplace Accident? Many workers’ compensation insurance carriers are reluctant to pay out claims after a workplace accident. They’ll challenge the alleged cause of the injury, dispute worker testimony, and argue that conditions were pre-existing or occurred while the employee wasn’t on the clock. In order to weaken employee claims, some insurance carriers or employers will use private surveillance companies to try and catch employees in a lie about their physical limitations after an accident. Learn more about the role of surveillance in Ohio workers’ compensation claims, and speak with a knowledgeable Columbus workplace injury attorney for help getting the compensation you deserve. Investigators hired to spy on a workers’ compensation beneficiary are looking for evidence that the employee lied about their injury altogether, or exaggerated the extent of their injury as a way of prolonging their leave. For example, if you’ve claimed that you’re unable to walk or stand for prolonged periods, investigators may try to catch you doing your grocery shopping. If you’ve claimed that you’re unable to pick up items weighing over 30 lbs, investigators may try to catch you picking up your kids while playing in a public park. 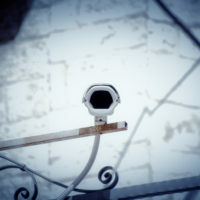 Investigators do not have unlimited rights to spy on you in your home. As a general rule, if the neighbors can see what you’re doing, then an investigator can also watch you. Investigators are more likely to try and observe you on days when your employer or insurer knows you have a medical appointment. These are days when your employer knows you’ll be leaving the house, offering the investigator an opportunity to see you move. In some cases, investigators have used footage of the employee moving normally and without assistance when leaving their home, but suddenly needing crutches or a wheelchair once they arrived at the doctor’s office. Likewise, you may be observed not wearing a brace when leaving your home over the weekend, but putting on a brace when going to restricted/light duty work during the week. These types of incidents will be used by the investigators as evidence of an inconsistency in your testimony. The truth may be that your pain levels fluctuate, so that you need crutches or a brace at some times but not others. Or you may try to do more than you are physically able, only to regret it later. That said, even if you can offer a rational explanation for the inconsistency, it will be difficult to erase these images from the mind of an insurance carrier or judge. As a result, is important to keep appearances in mind when in the midst of a workers’ compensation claim. If you’ve been injured in a workplace accident in Ohio and have had your workers’ compensation claim denied, or believe you’re entitled to additional damages for your injuries, contact the seasoned and knowledgeable Columbus workers’ compensation lawyers at Miller Law Practice, LLC for a consultation on your claim, at 614-591-6822.